HOUSTON (CN) – Texas asked the Fifth Circuit on Monday to revive its lawsuit over the constitutionality of its law banning sanctuary cities, even though the appellate court has already allowed the legislation to go on the books. Under Senate Bill 4, signed by Governor Greg Abbott in May 2017, sheriffs and police chiefs can be charged with misdemeanors, punishable with up to a year in jail and fines of $25,500 a day, if they ignore requests from U.S. Immigration and Customs Enforcement agents to hold undocumented immigrants in jail so ICE agents can pick them up. 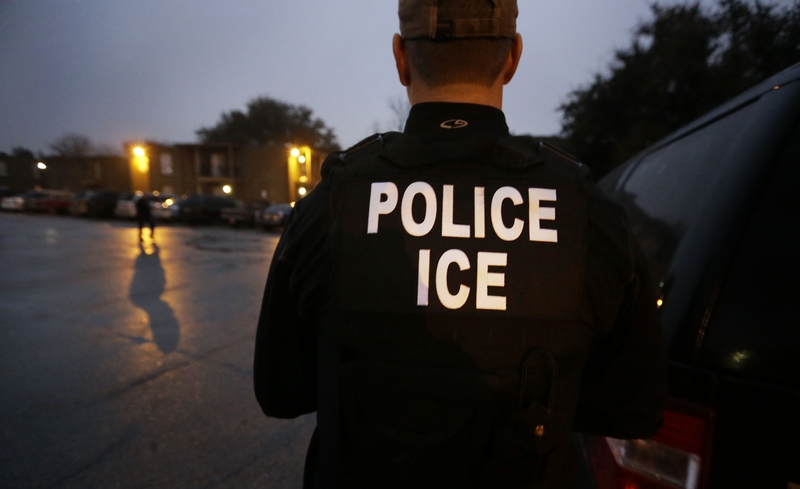 The Legislature’s Republican majority passed SB 4 after President Donald Trump signed an executive order in January 2017 threatening to cut federal public safety grants to cities and counties that blew off ICE detainer requests. Texas moved forward with SB 4 despite opposition from Democratic state lawmakers and law enforcement officials, who said it would lead to racial profiling, and make cities less safe, as immigrants, fearing they could be arrested and deported, would avoid filing police reports. SB 4 lets police question lawfully detained people about their immigration status. With some law enforcement officials questioning SB 4’s legality and indicating they would bring a court challenge, Texas Attorney General Ken Paxton beat them to the courthouse. Hours after Abbott signed SB 4, Paxton brought suit in Austin federal court, seeking a declaration that the law is constitutional and not preempted by the Supremacy Clause, which bars states from engaging in any functions exclusively entrusted to the federal government. Within weeks of SB 4’s passage, El Paso County and the cities of San Antonio and El Cenizo filed court challenges, and were joined by intervener plaintiffs Travis County, its seat, the city of Austin, and the cities of Houston and Dallas. U.S. District Judge Orlando Garcia consolidated those cases in San Antonio federal court. After Garcia refused Texas’ motion to transfer all the SB 4 cases to Austin to consolidate them with its declaratory relief lawsuit, U.S. District Judge Sam Sparks dismissed Texas’ case for lack of standing. Though Abbott signed SB 4 in May 2017, it was not set to take effect until September 2017. Judge Sparks held Texas could not rely on El Paso County Sheriff Richard Wiles’ statement that SB 4 is “pointless” or El Cenizo Mayor Raul Reyes’ claims it is “dangerous and discriminatory” and “opens the door to racial profiling” as proof they would flout the law after it took effect. “The state has produced no evidence that at the time of filing suit, it was clear defendants planned to violate the law once it takes effect … The general rule is that a plaintiff must have standing at the commencement of a suit,” Sparks wrote in an August 2017 dismissal order. Sparks, a George H.W. Bush appointee, said granting Texas standing would “open a Pandora’s box and invite every local government to seek a court’s judicial blessing” before a law took effect. Texas appealed to the Fifth Circuit. After Garcia blocked much of SB 4 with a preliminary injunction, a three-judge panel of the Fifth Circuit lifted the injunction in March. The panel approved all but part of SB 4 that barred law enforcement officials from “endorsing” policies that limit immigration enforcement, finding it was a First Amendment violation. Despite the appellate court’s ratification of SB 4, Texas did not drop its appeal of Sparks’ dismissal order. Another Fifth Circuit panel heard oral arguments Monday at the Houston federal courthouse. Texas Assistant Solicitor General John Sullivan told the panel that Sparks used the wrong standard in determining Texas did not face imminent injury from the SB 4 challengers when it brought the lawsuit. “He was looking at the question of whether they would break the law, that wasn’t the right question. It was whether they would sue,” Sullivan said, adding that various officials had threatened to sue before SB 4 was signed into law. U.S. Circuit Judge Jennifer Walker Elrod seemed sympathetic to Texas’ case. Walker, a George W. Bush appointee, asked El Paso County’s outside counsel Jose Garza why the officials’ statements indicating they would sue over SB 4, and would possibly defy it, could not establish standing. “They have a constitutional right to speak about the law,” said Garza, a partner in the San Antonio firm Garza Golando Moran. “That’s a very different statement than saying, ‘We’re going to continue policies in conflict with the law,’” Walker said. But Garza said El Paso County has always complied with federal detainers, as long as they are made with a written request from ICE to detain immigrants. “To simply sue them because they said they think the law is unconstitutional cannot stand,” Garza said. The American Civil Liberties Union represents some of the other SB 4 challengers. Before he signed SB 4, Governor Abbott canceled $1.5 million in state grants earmarked for Travis County’s criminal justice programs in early 2017 because its Sheriff Sally Hernandez was refusing to comply with ICE detainer requests, and not letting ICE agents into the county jail in Austin to pick up undocumented immigrants. Hernandez had agreed to turn over such immigrants arrested on murder, sexual assault and human trafficking charges to ICE, but said federal law gave sheriffs the option of not detaining nonviolent arrestees. But after SB 4 took effect, Hernandez changed her policies to comply with the law. Though Sullivan, the Texas state attorney, told the Fifth Circuit panel the state is investigating reports of SB 4 violations, he did not offer any details. Garza said the only thing he’s heard is San Antonio is being investigated on how it dealt with a busload of immigrants. U.S. Circuit Judge Stephen Higginson, a Barack Obama appointee, summed up the question facing the panel at the end of the 40-minute hearing. “Is Texas allowed to go to federal court to validate its law? Is that the rule of law you want us to set?” he asked Sullivan. Senior U.S. Circuit Judge Thomas Reavley rounded out the panel. The case is playing out against a backdrop of President Donald Trump raising alarms about thousands of Central Americans in Mexico, heading on foot in large groups to the United States to apply for asylum. He claims that “many gang members” and “some very bad people” are in the caravans. To stop what he calls an “invasion,” Trump has deployed the first of up to 15,000 troops he said he will send to the border. They are putting up fences topped with concertina wire and helping U.S. Customs and Border Patrol agents fortify ports of entry, though federal troops are barred from making arrests in the United States. Besides Texas, Trump’s hard line on immigration has also led Iowa and Tennessee to pass laws banning sanctuary cities.